I am a professional artist from Raleigh, North Carolina. 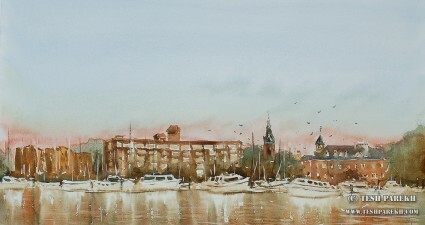 I am a live event artist: I paint at Weddings and Events! This is a unique service that will capture the memory of your special occasion in a true work-of-art! I paint in both oils and watercolors. I am one of the very few artists to offer representational live paintings in watercolors! I am available worldwide for live wedding painting commissions. “Jennifer & Ben”. 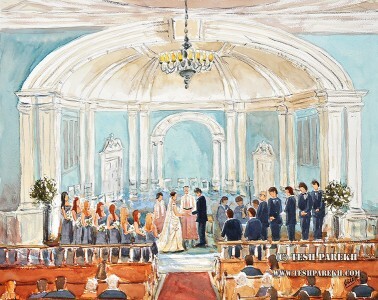 This beautiful watercolor is my latest live wedding painting commission. Read more about this painting on my blog. I accept portrait commissions in Oils and Watercolors. You will often find me painting en plein air (on location). New Bern NC Morning. Plein Air Watercolor on paper. 12×21. I learned to draw and paint during my childhood. As an adult, I have been painting for the last few years. I like the freedom of painting variety of subjects using different techniques. If the subject is interesting enough, I may paint the same subject in different ways. Mostly, I work on a single painting at a time. While I enjoy direct painting, if my love for the subject gets deep enough, I paint using indirect painting techniques. Doing sketches from life and working on my own compositions is my preferred way of working. My goal as an artist is to master the craft of painting so that my paintings can convey their message without techniques getting in the way. I accept studio commissions. 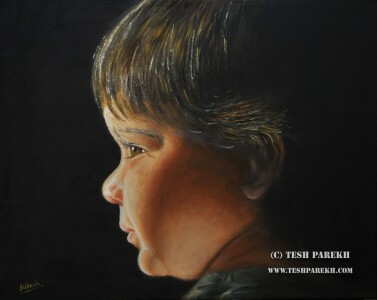 I can create portrait, wedding painting, event paintings or just about any other kind of painting from photos.